The British Music Experience claims to be 10 years ahead of any other museum in its use of interactive technology. 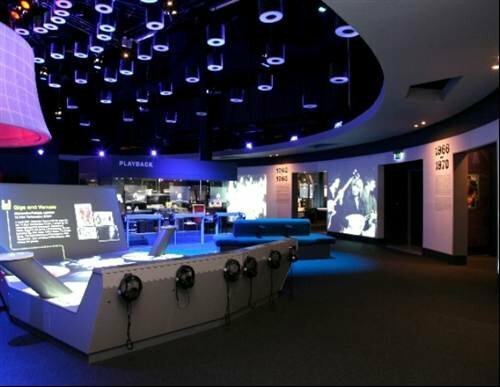 The British Music Experience, at the 02 in Greenwich, uses cutting edge technology, designed by NEC, to present visitors with a highly interactive experience of pop music. Visitors can use RFID tickets to learn about music styles and key events in the history of music, or watch interviews with pop icons displayed on huge interactive screens. At the end of the exhibition, you can download your videos and recordings from the BME web site to share with your friends, and view more information about the exhibits you have swiped with your card.